My experience of border crossings have normally been at airports – organised, structured, strict and sometimes quick – I expected a similar situation, but what I was met with was what mothers would call ‘organised chaos‘. Thankfully, as were part of a tour the process was slightly quicker as our tour guides could speak Africans and hurry things a long slightly – working seems to be a leisurely activity, patience is a virtue – we may have been there all day otherwise. The queues came from all directions, merged into one, split again and eventually met someone who would stamp and sticker – love the stickers – your passport. Zimbabwe was a land I had looked into a lot, the place fascinated me. It was so large and fast but there was so much empty space. It was an area the ‘Bushman’ Tribes still wandered freely (almost), where Rhino protection and research was strong and people were trying to rebuild after the economic crash. First stop… Matobo National Park. Now this felt like the real Africa I had imagined in my dreams. As the truck went off-road, driving along – very extreme bumpy roads – dirt track roads we pulled into the Campsite for the night. It was deserted except for a small building which had a very tiny bar (really, a bar in the middle of the bush, was this a good idea?). We were greeted by a very excited ranger – clearly hadn’t seen this big a group of people in a while, he cracked open his Christmas bottle of Jack Daniels…. – I could tell we would be in for an exciting night. This was where we would spend our next two nights. It was all very exciting, as we pitched our tents, chatted round the camp fire and talked about Rhino Trekking planned for the next day – Until we were then told to be careful at night-time as a female Leopard roams the area and is most active at night (so of course, everyone needed the toilet at 3am). Matobo National Park is home to White and Black Rhinos and are under intensive protection by the very dedicated rangers living on site. Poaching is so strong now in Africa, Poachers found in National Parks – or anyone with a gun/looking suspicious – will be shot and killed. Today we were told we would be Trekking Rhinos on foot…. I had never felt so small and fragile in my whole life. We were in Africa in the ‘Dry Season’ so trekking and spotting wildlife was slightly easier – but it didn’t usher away the feeling of ‘where do I hide if they chase me?’. Walking through the bush and hearing ‘Ian’s’ stories, anecdotes and facts was fascinating – this guy could make the bread making process interesting – he had a way of capturing your attention and filling you with the same passion he enthused about. I felt safer with Ian’s knowledge than I would have being with the other guide that had the gun. It was a breathless moment. To be so close to an animal now, so critically endangered. An animal I would never have dreamt I would ever be so close to, without ‘protection’ of a gun, safari truck or other. Getting up close and personal to the Rhino’s of Zimbabwe! I was fixated. I couldn’t move. These animals are unpredictable, beautiful and wild. Ian egged me closer and I was sitting with him, behind a bush, meters from these magnificent animals. Only then could I fully understand his passion for these animals. Why he dedicates his life to their protection. The worlds only ‘Unicorn’ is not just beautiful, but magnificently glorious. Unfortunately we had to move on.. the Rhinos ran from us – a swift reminder that ‘we’ are the threat here – and Art in the Cave Dwellings of the Bushman called us. The adventure didn’t end with the beautiful Rhino’s (Unicorns). The ancient paintings done on the cave walls in Zimbabwe. Walking into the caves felt like travelling back in time. Africa continued to amaze me, I couldn’t rap my head around it. The Bushman were a traditional tribe, living a traditional lifestyle, still wandering without any need for modern necessities, still leaving beautiful paintings from cave to cave and refusing to cave into the modern world and act like societies ‘norm’. The idea that this can still exist is hard to imagine. Mainly because I have grown up in a western culture I guess. But it is a beautiful way to live – never taking more than you need – it is what we all (or most of us) wish to escape to sometimes. Before leaving Zimbabwe for good, we stopped at a local ‘tribe’ to hear stories from a chief and have a small glimpse to how they live (now). This experience for me, was a mixture of emotions. The ‘tribe’ was not what I would have expected, nor what you would find in the likes of the Masai-Mara. This was a definite traditional meets modern tribe. It all felt a little staged to me. The traditions were still present, but the fact that some ‘members’ had cars and constantly chatted away on their mobile phones while we were there, took away the authenticity of what you would expect from a ‘tribe’. The stories were still good to hear. 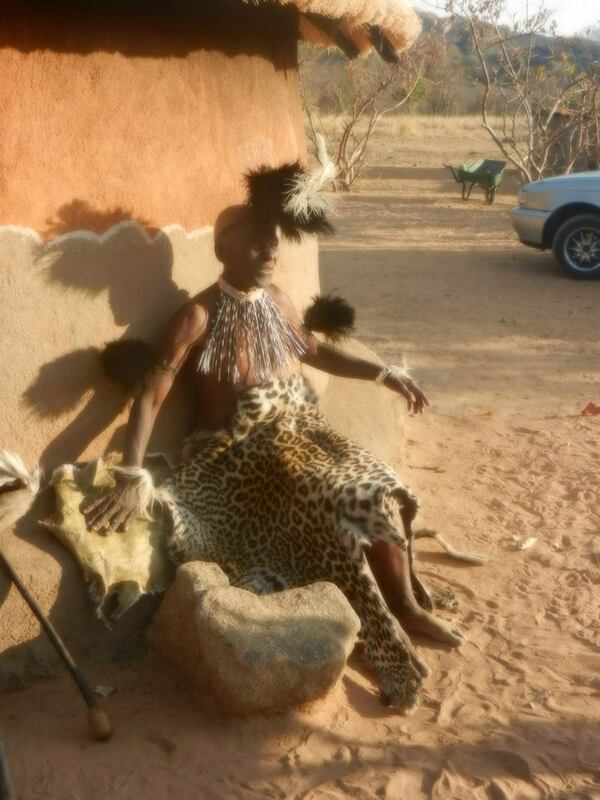 The Chief liked to display his Leopard Fur – which he acquired by killing the animal through self-defence, I would not be promoting this in any way if it was done for sport. – and tell us the tale of how he protected his family from the Leopard. The children were over the moon to meet us, which is always a little heartwarming and everyone was very friendly. Telling us about the still carried out traditions and teaching us about their way of life. While it felt staged, this was the way that these people lived, it wasn’t a job to them. They may make some money from us arriving and have began to embrace the modern world, which is undeniably hard to separate yourself from – this has to be respected in the same way that it would have if they had been completely traditional. Zimbabwe gave me experiences I couldn’t have dreamed I would find in a million years. The experiences surprised me constantly. Nothing was just as you expected it to be. This country had shared with me its beauty, the people had welcomed us into their lives – even for just a short while – and shared with us their passion and knowledge for the beautiful place in which they live. 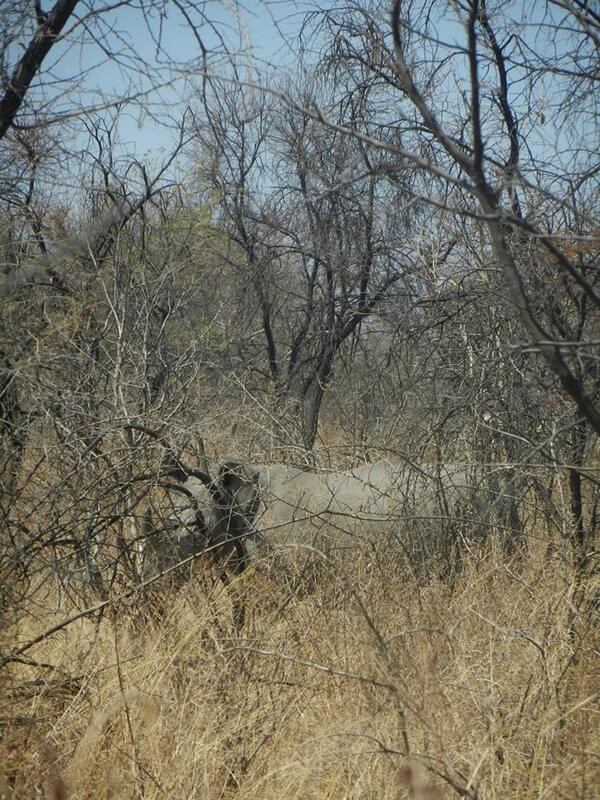 I was in Matobo National Park in February and I loved the rhino trekking. I had Ian as a guide as well and he was awesome.